We are particularly proud to be awarded UK’s Best Customer Service 2017 at the Mobile News Awards. Judges praised Vivio for a “great entry, thoughtful and rich in information. The business is really focused on the journey of their customers”. The Mobile News Awards are regarded as the highest accolades and most prestigious awards in the mobile industry so winning this award is a huge honour. Alongside this award we came runner up in the B2B Dealer category which we have been highly commended in. This complimenting our 2016 Mobile News Award win. 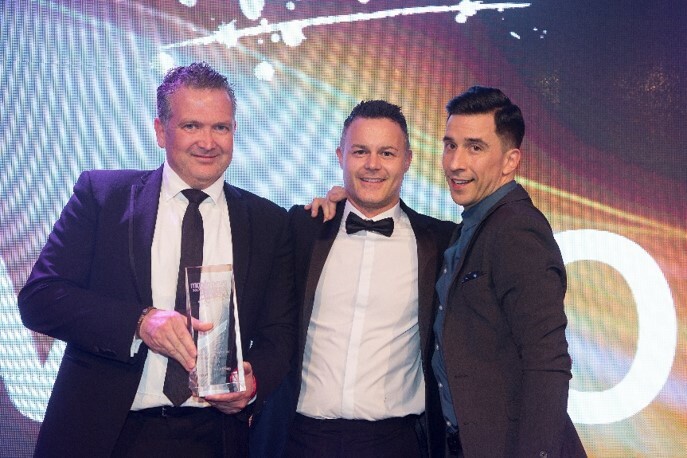 At the prestigious ceremony, Managing Director James Wright and Sales Director Gary Scouller were both presented with the award by the evenings host Russell Kane, in front of thousands of guests including the executives from mobile networks, dealers, manufacturers and distributors. Everyone at Vivio work incredibly hard to provide the best service for our Clients. By continuously improving our knowledge and expertise we continue to add value by providing an exceptional Client experience every step of the way. Vivio look forward to building on this in 2017!